This premium upper is all you need to impress at the range. 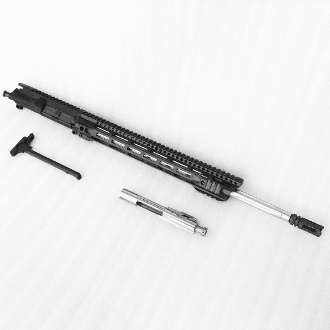 20" Stainless fluted barrel, 15" mlok rail, Nickel Boron EXO bcg, and extended latch charging handle which is especially nice if you have a scope. Our Nickel Boron BCGs have the super slick glossy EXO finish, not the flaky satin/matte like some others. Uppers don't get much nicer than this.